Dr Mark Hyman can be followed on a number of the most popular social networks, click on any of the links below to keep up to date! There are many wonderful resources available to help you activate the relaxation response and reduce stress. Below is a selection of some of the best CDs, lifestyle products (such as biofeedback tools), and at-home saunas. In plain language, this teaches you the science of stress and relaxation and how to choose the stress management techniques that are right for you. Dr. Kabat-Zinn provides guided meditations that take you into deep relaxation and healing through exercises that cultivate mindfulness of breath, body sensations, sounds, and meditations on loving kindness. Resources for self-healing, including guided imagery tapes. DVDs on Pilates, yoga, tai chi, fitness, meditation, and self-healing. Many CDs and DVDs to support health and relaxation. A biofeedback computer game that brings deep relaxation. For an easy and accurate self-measurement of your blood pressure, try Withings blood pressure monitor. Compatible, with your iphone, ipad, and itouch. From the developers of HeartMath, a personal handheld device that allows you to retrain your nervous system and reduce stress. It also connects to your computer and comes with many exercises that help soothe your mind and heart. 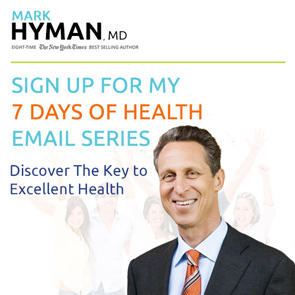 © 2014 Dr. Mark Hyman. All Rights Reserved.